Nobeoka Castle is classified as a hilltop castle, and is located in Miyazaki Prefecture. During the pre-modern age, it found itself within the borders of Hyūga Province. It is associated with the Takahashi, Arima, Naitō clans. Dates in use: 1603 - 1870. The small castle of Agata (県城) was built to more conveniently administer the lands of northern Hyūga, now Miyazaki Prefecture. 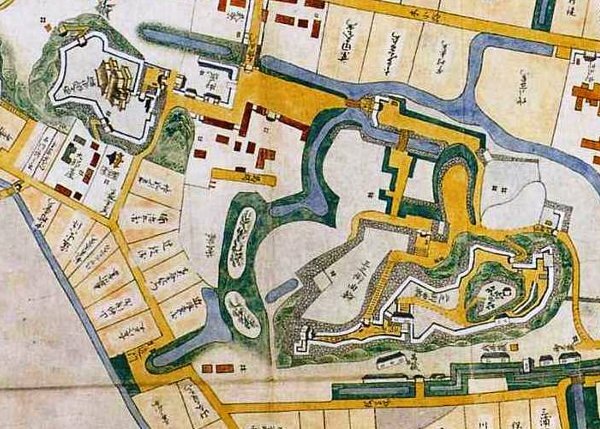 Even following a restoration/expansion of the fortifications in 1653, there was only ever a handful of buildings & gates. The largest building on the site was a three-story turret. It would last just under 30 years before being burnt to the ground in a fire that had spread from the surrounding castle town. There's a fantastic little story on the Official Nobeoka City website that goes thus: "It is said that if you remove a key stone from the wall, it will fall down and kill as many as one thousand invaders." The above boast was left untested after Nobeoka castle finally saw its first battle in 1877. The defenders at the time were the forces of Saigō Takamori. They were driven from this place and met their end a short time later on a wooded hill above Kagoshima castle. 1603 Having started two years earlier, construction of Agata castle was completed. The Takahashi clan had been residing in nearby Matsuo castle since 1587. 1613 The Arima clan were transferred here. 1653 A major renovation of the castle was carried out. 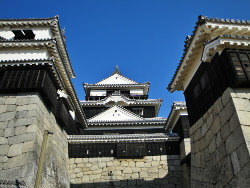 Upon completion, the castle was renamed Nobeoka castle. 1682 The three-story, central tower (this was a turret and not a keep) was lost in a blaze. 1692 The Mitsuura clan were transferred here. 1712 The Makino clan were transferred here. 1747 The Naitō clan were transferred here. They remained here throughout the rest of the Edo period. 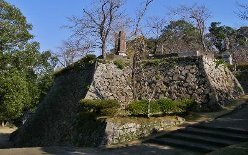 1877 For a short period of time the castle was used by the rebellious armies of Saigō Takamori during the Seinan Rebellion. 1993 The Kita Ōte gate was rebuilt.